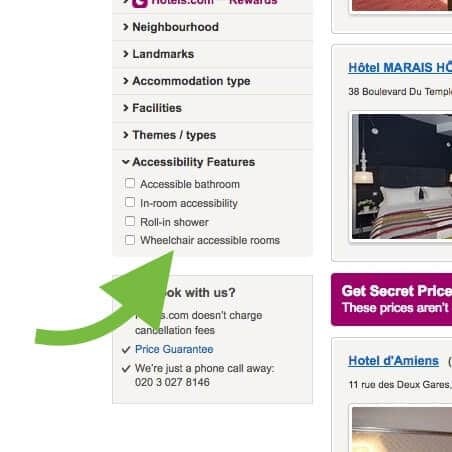 Please read our short step-by-step guide below to find a suitable hotel with good accessibility that matches your specific needs. Type in the destination, hotel, landmark or address you wish to search to find something suitable to stay at on your trip. Please also read the other steps further down this page. Next, in the search results page scroll down and on the left sidebar expand the “Accessibility Features” options and check any options you require for your special needs. This will narrow your options to just the ones best suited for you. Additionally you may narrow your search results further by ticking the checkboxes on the other options other than accessibility. To access these options from your smartphone please click the “Filter” button. 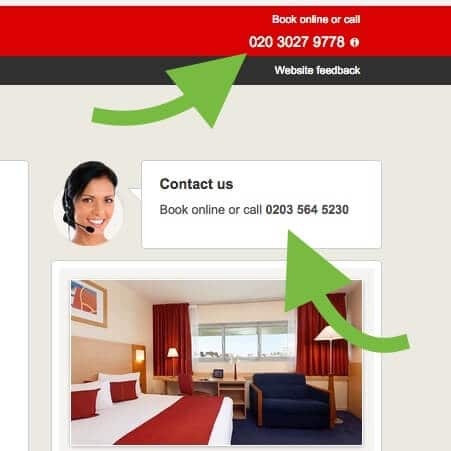 Click on the specific hotel you wish to book a room at. Scroll down and click on the room you want. 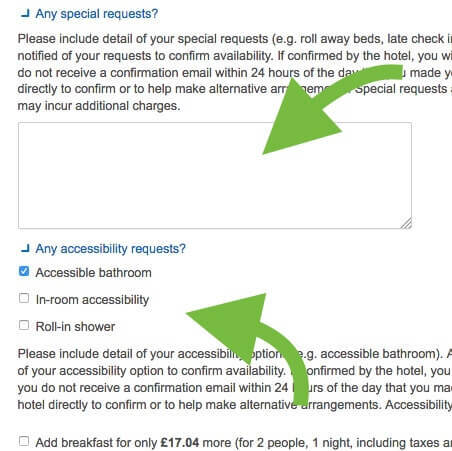 In the room details, before you book, please make sure to click/expand the options “Any special requests?” and “Any accessibility requests?” to make sure you select and provide the type of accessibility and requirements you have. If you have any questions or are uncertain of anything please take a moment and call the provided number to ask if your specific requirements can be guaranteed before you book the room. Good luck with your travel booking!